Campbell Peak was first climbed on the 6th February 1845 by Ludwig Leichhardt. He named it after Mr Campbell of the Darling Downs who gave Leichhardt four young steers and a bullock for his expedition north. 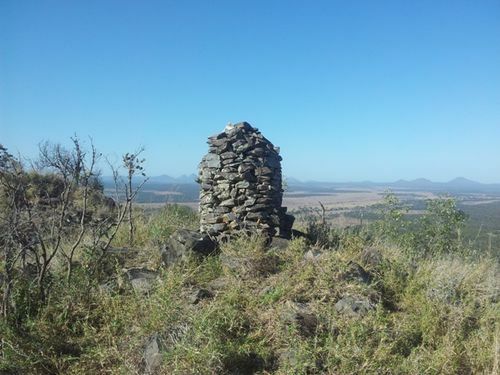 Leichhardt allegedly built the stone cairn on top of Campbell’s Peak. Note : Access to the peak is via private property. For permission to climb the peak phone ‘Cotherstone Station' on (07) 4958 1225.